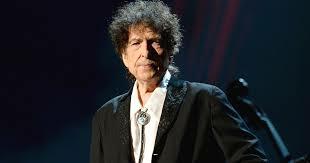 The Nobel Prize Committee has stressed to Patti Smith to pass on to Bob Dylan that the award is for his complete body of work except for that weirdass Christiany stuff he was doing in the mid-to-late 1970s. Smith’s spine tingling performance of “A Hard Rain’s Gonna Fall” was the highlight of an evening attended by King Gustav of Sweden and every other stuffed shirt in Europe. After singing an encore of “Rainy Day Women” with its recurrent chorus of “Everybody must get stoned”, a giggling Patti Smith and King Gustav were later spotted at a Stockholm Seven Eleven trying to purchase a packet of Tim Tams and a bag of lolly snakes.